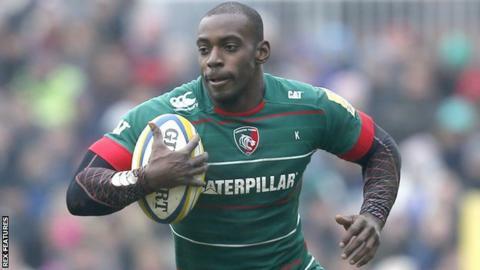 Leicester Tigers winger Miles Benjamin has retired from rugby because of a knee injury. The England Saxons international, 27, joined from Worcester before the start of the 2013-14 season but has been plagued by injuries and made just 29 appearances, scoring 10 tries. Benjamin said: "It is massively disappointing to be denied the opportunity to play by injury. "I have some great memories, but now it is time to consider another challenge." Director of rugby Richard Cockerill said: "The tries he scored for the Tigers showed just how much of a threat his pace and power could present to opposition defences and made him a valuable member of the squad. "He has worked diligently and it is very unfortunate that he has not been able to make a full recovery. We wish Miles well and he will always be welcome at Welford Road."